Royalty-free stock illustration of a little blonde boy at a desk getting homework help from his mom. She’s standing beside him pointing at a book as he takes notes. Royalty-free stock illustration of a brown-haired boy scowling as his red-haired mother tries to convince him to do his homework. Neither are looking very happy! 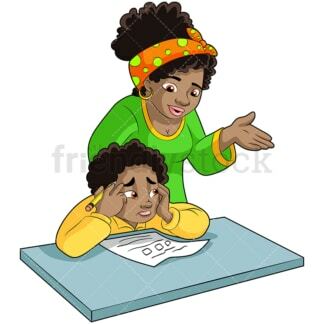 Royalty-free stock illustration of a pretty teacher helping a young student with his homework. She’s sitting at her desk and he’s pointing to his book, smiling. Royalty-free stock illustration of a young black boy feeling overwhelmed with homework and holding his head in his hands as if it’s giving him a headache! His mother standing behind him looking as if she’s trying to lend a helping hand. 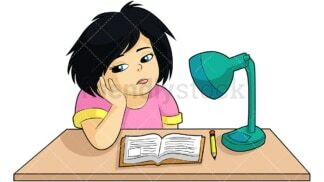 Royalty-free stock illustration of a little black-haired girl sitting at her desk staring off into space. She’s supposed to be doing her homework but looks sad and bored. 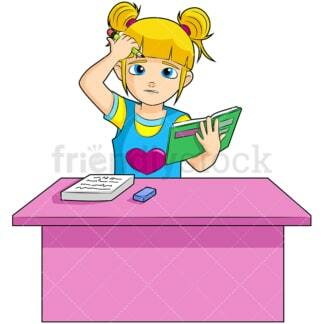 Royalty-free stock illustration of a young blonde girl sitting at a bright pink desk looking confused over her homework. She’s holding her hand to her head with a pencil in it, looking crosswise. 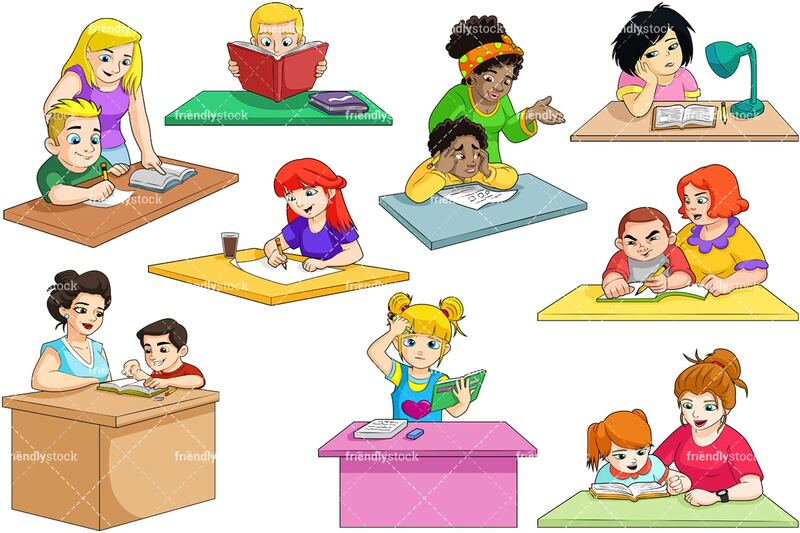 Royalty-free stock illustration of a green-eyed mom and daughter doing homework together at a desk. They seem to be working well together! 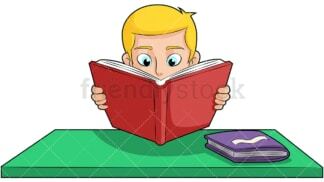 Royalty-free stock illustration of a young blonde boy with his nose buried in a book, studying hard with eyes wide open. He’s sitting at a green desk holding a red book with a purple book sitting nearby. Royalty-free stock illustration of a little girl with long red hair drawing with a pencil at her desk. There’s a glass of chocolate milk nearby and she looks like she’s having fun!